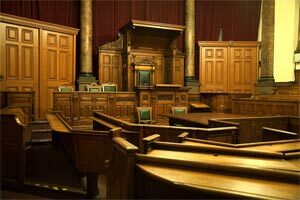 Court or legal interpretation is a specialized skill. Unlike normal interpreting, interpreters who work in the courts need to have a knowledge of special legal terms in each language they speak. This is important in making distinctions between similar phrases in day to day speech and those that may have a special or separate meaning in a legal setting. The phrase "bait and switch," for example, is typically used by people to mean being sold something other than what was expected, but believe it or not, in American law, the phrase has a very specific definition that applies only to a narrow set of situations. A legal interpreter would not only need to know this, but would then also need to know how to properly phrase such terminology in two separate languages in a way that's acceptable to the court. Court interpreters additionally typically need to attend seminars on ethics and professionalism, as well as pass written and oral tests in both languages, in order to prove to the court that they are capable and qualified to interpret language on behalf of the judge, lawyers, witnesses, and so on. The exact requirements vary from state to state, as well as for federal courts. If you're in need of a court or legal interpreter, please contact us today and let us know about your needs. One of our representatives will be in touch to discuss your options, pricing, and answer any questions you may have.